No arrests have been made, and a number of properties have been searched. 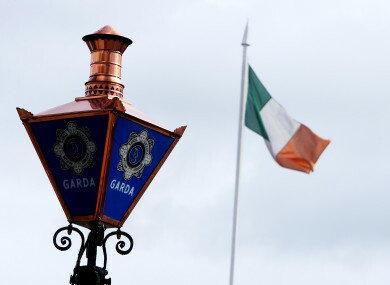 A GARDA STATION in Co Limerick has been searched by gardaí as part of an “ongoing investigation” in relation to bogus insurance certificates. A search was conducted at the Garda station and in 16 residential premises. Documentation, phones, personal computers and two vehicles have been seized, Gardaí said. No arrests have been made. According to reliable sources, specially-trained officers from Dublin conducted a planned search at the station yesterday. The search operation has now moved from the Garda station to other properties today. The officers have searched the garda station in relation to a suspected criminal offence having taken place. A reliable source described the investigation as “very sensitive”. It is understood that up to 30 officers are taking part in the planned raids. Gardaí from the Garda National Bureau of Criminal Investigation, conducting an investigation into the use of bogus insurance certificates, have completed a number of searches in the Limerick area last night and today. Email “Limerick Garda station searched as part of fake insurance certificate probe”. Feedback on “Limerick Garda station searched as part of fake insurance certificate probe”.